While USD is getting stronger, EUR is not gaining or losing power. 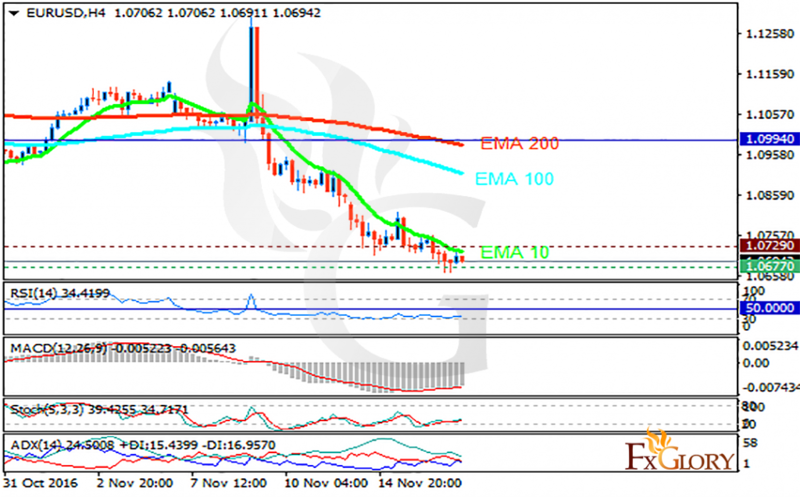 The support rests at 1.06770 with resistance at 1.07290 which both lines are below the weekly pivot point at 1.09940. The EMA of 10 is moving with bearish bias and it is below the EMA of 100 and the EMA of 200. The RSI is moving below the 50 level, the Stochastic is moving horizontally in its minimum rate and the MACD indicator is in negative territory. The ADX is showing buy signal. Sellers can still target 1.0650 for today.